That day at Fiat’s old and once secret Balocco test track, they lined them up like rentals in the Avis section of Malaga airport. Unlike hire cars though, I could climb into whichever I most wanted to drive. Which was nice. The selection was not exactly normal either. Instead of Golf, Astra and Focus, it went Tipo B, Disco Volante and TZ2: the choicest cuts from 100 years of Alfa Romeo and its extraordinary racing history. The excuse was simple: this year Alfa Romeo celebrated its centenary and in a literally once-in-a-lifetime offer, opened the door of the chocolate factory, inviting me not just to come and have a look, but to have my ﬁll of some of the most eclectic and extraordinary competition cars ever conceived. Being Alfa Romeo this was a free-form event, which was both good and bad. Had this been Mercedes or Audi I imagine all the cars would have been immaculate and run like clockwork, which is some distance from the condition and reliability of many of the cars Alfa made available. On the other hand I ﬁnd it hard to conceive any other manufacturer even holding such an event. And if they did, there would be briefings, disclaimers, rules, chaperons and limits in every direction: how fast you drove, how many revs you used, how many laps you did… With Alfa Romeo, there was none. You got in the cars and for as long as they lasted, which wasn’t always very long, you drove. Of course they weren’t all there and even if they had been, there would have been no time to drive them all; even so, choosing which to dwell upon was no easy task. Regular readers will have read last month of my astonishment when it became clear they were prepared to make Fangio’s 159 available to me on a no limits basis, but that’s a different day. Today there were choices to be made. There had to be something pre-war and something else relatively modern. I needed to drive a Grand Prix machine but also a sports car, a prototype and a tin-top. Anything else would be a bonus. What was making those choices difﬁcult was that Alfa’s racing history is as long as it is varied. None of the really early cars could be driven. Alfa has a P2, but not to be sampled today. 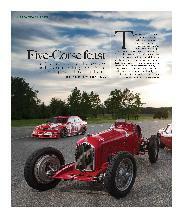 Likewise the 24HP, Alfa’s ﬁrst car and, indeed, its ﬁrst racing car. 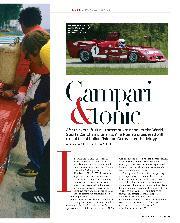 It took part in the 1911 Targa Florio when A.L.F.A, as then it was known, was less than a year old. It was at Balocco but for display only. I liked very much the look of the 1750 Gran Sport with its beautiful, blown straight six motor, but with time to sample just one pre-war car there was never really any question as to where my quest for the soul of Alfa Romeo would start. Not when there was a Tipo B, more commonly but less accurately known as the P3, waiting to grab my attention. What more can be said about the Tipo B, the greatest Grand Prix car until the Germans waded in with a rather different way of doing things? The story of its design by Vittorio Jano and that of its two four-cylinder engines sharing a common crank is well known. 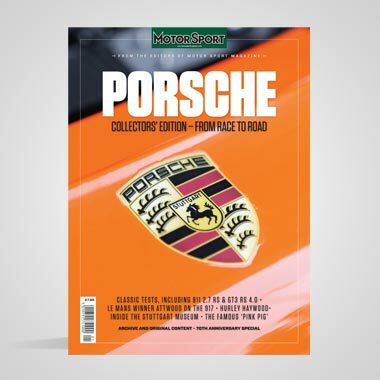 So too are its racing exploits, from its ﬁrst win at Monza in 1932, to its most famous victory at the Nürburgring in 1935 where it deﬁed the apparently insuperable might of the German teams on home turf. And, of course, on both those occasions it was Nuvolari that guided the Tipo B home. Nuvolari. He sat here. I know this because this particular Tipo B has never been owned by anyone other than Alfa since it was built in 1932 so all I think I can do now is give some impression of what it is like to drive. First, it is not easy. Driving a car built to ﬁt a diminutive Mantuan when you are 6ft 4in was never going to be a breeze, but to make matters worse the seat is tight, its back bolt upright and between your legs is not only a gearbox but a differential from which sprouts the diagonal driveshafts leading underneath you to the rear wheels. The driving position and environment feels even older than it is. Positively vintage in fact. It has two rev-counters too, but as neither is working I won’t be unduly delayed by that. It has to be pushed to start but with a compression ratio of 6.5:1 and a rich mixture of fuel hand-pumped into its twin Weber carbs, it takes no coaxing at all to come to life. In my rankings of the world’s greatest sounding engine conﬁgurations, the supercharged straight-eight is up there with the normally aspirated V12 and air-cooled ﬂat-six as among the best of all time; and the willingness of this engine to ﬂick up and down its rev range doesn’t feel vintage at all. Clutch up and we’re rolling. There’s torque everywhere, so much that you could drive it in top right around this tight and twisting track without being inconvenienced. It’s tempting too, because the gearbox is tricky, even once you’ve got used to the sight and sound of the transmission between your legs. Apparently some Tipo Bs had just three gears but this one deﬁnitely has four, despite the severe reluctance of second to show its face. But with time and timing it can be managed. The surprise is how explosively fast the Tipo B is. It would have started life with a 2.6-litre motor giving 215bhp but the imperative to at least try to keep up with the Auto Unions and Mercedes saw the engine grow through 2.9, 3.2 and eventually up to 3.8 litres and 330bhp. Clearly there’s no way this car is giving that kind of power, but I’d not be at all surprised to discover it was actually the 255bhp 2.9-litre motor under my right foot. 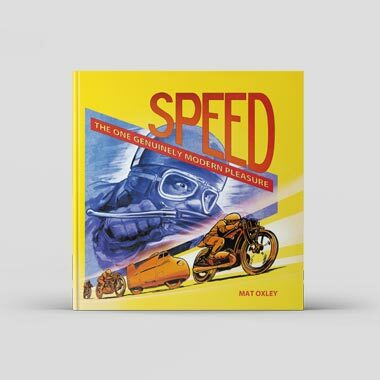 It positively thunders up the road, reaching ear-renting revs in top gear down Balocco’s long straight and from what can be divined by the hurricane force winds passing my unhelmeted head, what feels like massive speed. I’d put money on it being more than 120mph. But what I’m struggling to understand is the chassis. The drum brakes are actually surprisingly good, more than strong enough for a 700kg car of this performance, but the Tipo B still seems to want to mug me. It’s so stiff that even on Balocco’s smooth surfaces it’s deﬂected by the tiniest bumps and can set up an oscillation that threatened to bounce me out of my seat. Then, when you head into a corner you ﬁnd the steering is light and accurate in a way you’d not expect from any pre-war machine. But just as you’ve recovered enough conﬁdence to give it a bit of a boot, you ﬁnd it doesn’t so much slide gracefully as skid disgracefully. It may all just be the way this particular car was set up, but I departed its quarters more intimidated than by any pre-war race car I’ve driven. It was an inestimable privilege to be allowed to drive it, but the truth is that instead of the experience enlightening me as to how Nuvolari achieved such greatness in the Tipo B, I left even more puzzled and in awe of the man’s talents than ever. It seemed appropriate that, in the mix, we should include at least one road car, not least because its twin sister was a racing version (of which none was available) which itself is one of Alfa Romeo’s most fabled competition machines. It was also one of its most long lived – only the 158/159 GP cars having a longer race career and that thanks largely to a six-year hiatus called the Second World War. For while the 33 was seen for the ﬁrst time in 1967 and won the Targa Florio in 1971, it wasn’t until 1975 that its true potential was realised, so dominating the World Sports Car Championship that it won seven of the eight rounds it entered. 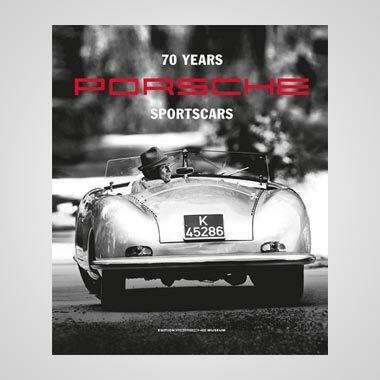 Even Porsche could offer scant opposition. But that Alfa 33, the so-called TT12, was similar only in name to the little jewel sitting in front of me, water gently seeping from under its gorgeous body. The ultimate 33 was very little more than an F1 car with pugnacious, aerodynamically optimised, enclosed bodywork and powered by a ﬂat-12 boxer motor reputed to give 500bhp at 11,500rpm. This one could hardly be more different. It’s mid-engined for sure, but there all similarities end. 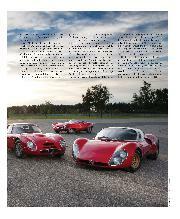 Just 18 road or stradale 33s were built, their peerlessly beautiful bodies the work of Franco Scaglione. It was powered by a new V8 motor displacing just 1995cc, and producing 230bhp in road trim and 270bhp for racing, both fabulous outputs for the era but barely half what the 33 would produce in later years. The power was fed to the rear wheels through a six-speed gearbox (an unheard of innovation for a road car though even then a reasonably common occurrence in racing) which thanks to the car’s slippery shape and dry weight of just 700kg, could rotate at over 160mph. But today they’re not going to be rotating at all because the water under the car means the pump has gone and there aren’t too many of those lurking around, even at Balocco. So I have to content myself with gazing at it instead. There’s not a machine in the world I’d rather look at than drive, but this is closer than most. The most beautiful road car ever conceived? I can think of few better candidates. Everything about it from its curving wings, to its GT40-like doors creating an almost entirely glass roof is perfect, and as for the achingly evocative cabin, there can scarcely be a better place in the world from which to watch an Alpine vista as you twist and turn your way through some mountain pass, that little V8 barking its approval behind you as you hit 8000rpm in every short-geared intermediate. 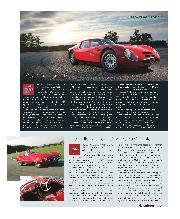 But this is the stuff of fantasy: truth is the real tale of the Alfa Romeo 33 Stradale will have to wait for another day. Was there ever a prettier 1600cc sports car than the TZ2? Well, yes as it happens. One of the things that happened when Autodelta turned the Tubolare Zagato into the TZ2 is that some of the original’s extraordinary purity of line was lost. While the TZ, or TZ1 as it’s inevitably called these days, truly deserved its baby GTO epithet, the TZ2 looked a little less sculpted, a little more mean, more race ready. The TZ had been a success from the moment it was introduced in 1962 and with over 100 examples made (as required for homologation purposes), it had been seen competing strongly as far aﬁeld as Sebring. But by 1965 it was dated and an upgrade was required. The car would also be raced as a prototype which meant a tiny number would be produced – I’ve seen as few as nine and as many as 14 quoted, though 12 is the most common. Although visually similar to the TZ, the TZ2 was a very different car under the skin. The principle of using a lightweight spaceframe chassis powered by a 1.6-litre engine running through independent suspension was retained, but the bodywork was changed in shape and made not from aluminium alloy but lighter glassﬁbre. 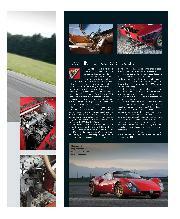 The car was lower and at a ﬂyweight 620kg, lighter by 30-40kg. It was more powerful too, thanks to the twin spark head developed for the GTA and its ability to extract around 170bhp from the little twin-cam motor. As I approached, it was as if stepping into an optical illusion. The closer I got, the smaller it seemed, a trick I’d hitherto only seen pulled by the Porsche 917. By the time I reached its gossamer-thin door, it seemed more like a toy than a racing car. Even the Alfa mechanics looked dubious as I tried to funnel myself into its interior, but they reckoned without a determination developed over 20 years of trying to drive racing cars I don’t ﬁt. Because I’m fortunate enough to race some Alfas from this era, though none so vaunted as a TZ2, this was the one I wanted to drive hardest but, not for the ﬁrst time that day, circumstances were against me. It dragged its exhausts on the ground every time I tried to turn into a corner so I had to content myself listening to the sound of the twin-cam on open pipes (quite deafening) and the sight down that long glassﬁbre bonnet. From what little I could tell, it felt like an early Italian Caterham and if you look at its mass and where it’s carried I guess it would be a surprise had it not. But as for the TZ2’s innermost secrets, until I can work out how to squeeze at least a gallon into a pint pot, sadly it is secret that they must stay. The idea was good. And so like so many good ideas, the translation between theory and reality didn’t quite go according to plan. With nothing left to prove in Grand Prix racing after the utter dominance of the 158/159 and with no 2-litre car to contest the 1952 F1 season, Alfa instead turned its attention to producing a sports car as radical as any seen up to that time. The host vehicle was the 1900 road car but by the time it was ﬁnished, little more than the suspension remained. A spaceframe chassis was built and clothed by bodywork by Touring of Milan. The idea was that not only would it present as clean a shape to the air ﬂowing over the body from front to back, it would do the same at the side so as to minimise the effect of side winds. Wind tunnel testing showed the best shape for these purposes resembled a saucer so it was no surprise in an era when the world was obsessed with extraterrestrial life that the result soon became known as the ﬂying saucer, or Disco Volante. There were plans to race it, allegedly with Fangio at the wheel at Le Mans in ‘52, but once it became clear that the only thing the design did better than smooth the ﬂow of air over the car was to create lift under it, the project was shelved leaving just this spider and a coupé as two fascinating ‘what-ifs’. It still drives remarkably well. The engine was bored out from 1.9 to two litres and ﬁtted with an aluminium block to produce 158bhp, a very healthy output for such a motor from that era, and it feels as if they’re all still there today. 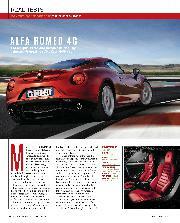 It’s a sweet sounding, free-revving engine and lets that oh-so slippery shape accrue speed with remarkable ease. Yet what I found most engaging and surprising was the way it handled. If you look at its shape and styling with its Commer van narrow track and overhangs, it seems like it should fall over if hustled through some turns. In fact I found it eager to sniff out an apex, resolutely resisting understeer and even keen to let its tail slide gently wide at the exit. It never felt like a quick car and I suspect it would have been uncompetitive at Le Mans even without its aerodynamic issues, but it was the one car I’d approached with no expectations at all. Yet I left it having been afforded a genuinely rewarding driving experience. In the entire history of Germany's fabled touring car series, the DTM, only once has it been won by a foreign car company. 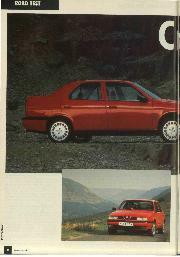 That company is Alfa Romeo, the year was 1993 and the car is the one here. That year this Alfa 155 took on Mercedes, BMW and Opel, not simply beating them but stufﬁng them out of sight. Nicola Larini won half of the 20 races on offer, his team-mate Alessandro Nannini mopping up a further two. 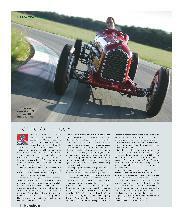 It was Alfa’s greatest sporting triumph of the modern era. So what kind of car gets to beat the Germans on home soil? If it looks barely like the 155 upon which it is based, there is a sound reason for that, for it’s almost a silhouette racer. Its engine is a 2.5-litre V6 installed north-south in the engine bay, driving all four wheels in a one third/two thirds front to rear split. None of this save the basic engine conﬁguration bore the merest relation to any 155 you could actually buy. Nor was the fact that the engine put out 450bhp at, wait for it, 12,000rpm. All its major panels are carbon ﬁbre and because the aero rules were free below the centre line of the wheels, it looks like a victim of steroid abuse. Better still, I’m told it’s running perfectly. You can tell just by looking at it that this is not a car that’s going to reward a light touch. To get anything out of it at all will mean manhandling it around the track. The prospect is deliciously exciting. The motor sounds evil, its ﬂywheel apparently non-existent. It revs like a DFV but with even more menace in its voice. The transmission is a six-speed dog ’box but you only need the clutch to pull away. So long as you lift off the gas for an instant on the way up and match the revs on the way down, your left leg has no further role in proceedings. It feels frantically fast: slick tyres, all-wheel drive and dry track means traction is effectively limitless. This means you can come out of a slow turn and even before the car is close to straight be hard on the power, throwing gear after gear at it. Today we are using the full 12,000rpm, feeling how little the revs fall from one gear to the next and noting with incredulity that there is apparently no let up in acceleration at all. But the corners are the best bits. Forget all you ever learned about delicacy and balance, never treading too hard or turning the wheel too fast. In the 155 you simply scream up to a corner, stamp on the brakes, throw it in and jump back on the gas just as soon and as hard as you can. Just once did the 155 ﬁght back, jinking sideways as I provoked it just a little too much, but the steering ratio was more than quick enough for it, snapping it straight before a situation had any chance to develop. True, the 155 DTM was about as far from my image of a racing Alfa as you can come, but it wasn’t one micron less fun to drive as a result. Of them all, this is the one I’d drive again. 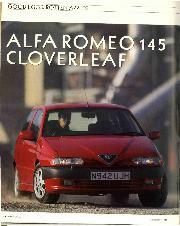 And so concluded my brief wander through at least part of Alfa’s competition past. It was a strange and eclectic bunch, some touched by pure genius, others more by a sense of what might have been. Finding a thread that unites them all would be contrived, for they were built in different eras and to do different jobs. Except this: the single most instructive thing about that event was that it happened at all. In all the years I’ve spent doing this job, I’ve never known any car manufacturer attempt to stage something similar. It spoke volumes not only for the extraordinary richness of Alfa’s racing heritage but, more importantly, how important it still is to Alfa today. 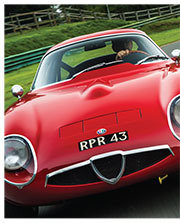 If ever you needed reminding that even now Alfa Romeo is not just another car company, that day at Balocco provided it.